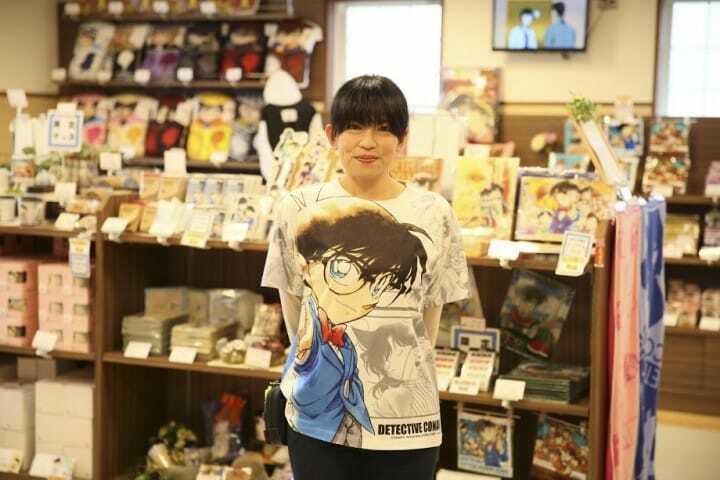 Gosho Aoyama Manga Factory－Meet Detective Conan In Tottori! Detective Conan is a series loved by people in 25 countries and regions around the world. 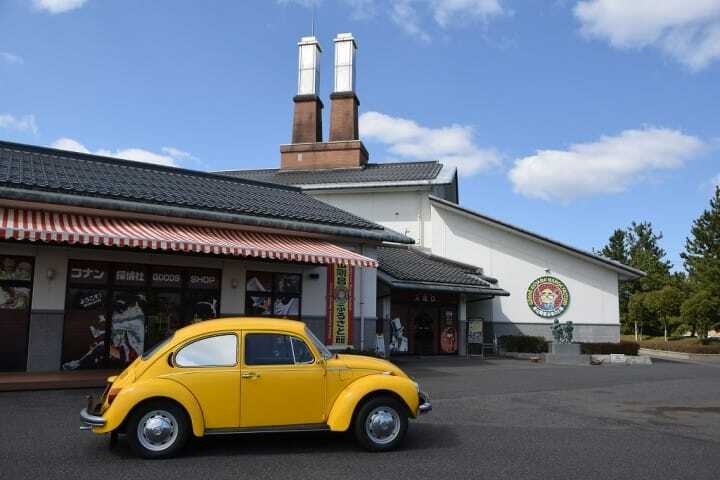 At places such as Gosho Aoyama Manga Factory and Conan’s House Beika Shopping Street, you can enjoy the series in Gosho Aoyama’s hometown of Hokueicho in Tottori. Do you know “Detective Conan”? It’s a story about an elementary first-grade boy who solves difficult cases one after another using various inventions. The detective manga series “Detective Conan” began its serialization in Japan in 1994, followed by the beginning of its broadcast as an anime in 1996. The series gained popularity among various generations for its breathtaking tricks, unique characters like its protagonist Conan Edogawa, and the thrilling struggle against the mysterious “Black Organization”. Even now, over 20 years since the series’ debut, the serialization of the manga and broadcast of the anime are still ongoing. Additionally, the series has gained fans from all over the world with the manga being translated and sold in 25 countries and regions around the world while the anime is broadcast in 40 countries worldwide. Hokuei in Tottori: Meet Detective Conan Characters Everywhere! Manga artist Mr. Gosho Aoyama, the author of “Detective Conan”, was born in Tottori prefecture. 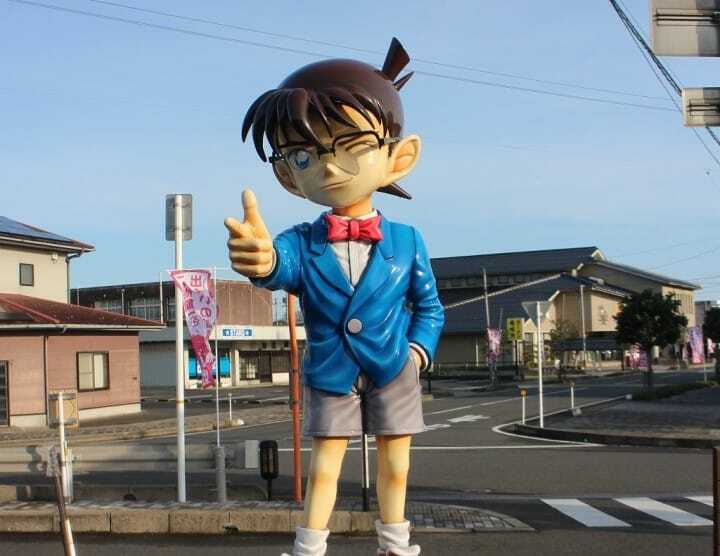 Hokuei, a town near Kurayoshi and his hometown, is now called the “Town Where You Can Meet Detective Conan”. A Conan Train decorated with “Detective Conan” characters runs at the entrance to Hokueicho, JR Yura Station (Conan Station). Objects and artworks modeled after the characters stand at many places throughout the town, making it almost feel as if you’ve strayed off into the world of the series. 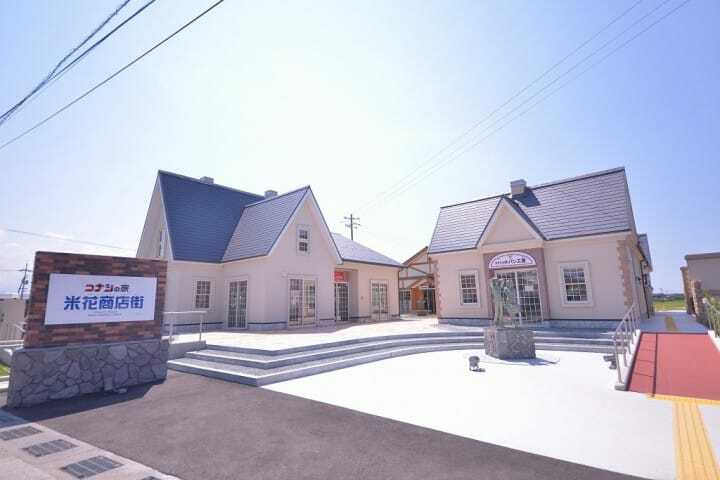 JR Yura Station is ten minutes by train from JR Kurayoshi Station and can be accessed in approximately one hour from both JR Tottori Station and JR Yonago Station. Enjoy Detective Conan at the Gosho Aoyama Manga Factory! Thanks to overseas visitors being able to fully enjoy the factory with support available in English, Korean, and traditional Chinese, many people from around the world have come here since its establishment in 2007. You Can Even See Original Drafts! Mr. Gosho Aoyama, born in 1963, dreamed of drawing a detective manga since he was a child. Thanks to an elementary school teacher who fervently supported his dream, he strove to create manga and debuted as a professional manga artist following his university graduation. The serialization of “Detective Conan” began eight years after his debut following his publications of manga series such as “Magic Kaito”, a story that follows a high school phantom thief, and “YAIBA”, a story that depicts the adventures of a samurai. 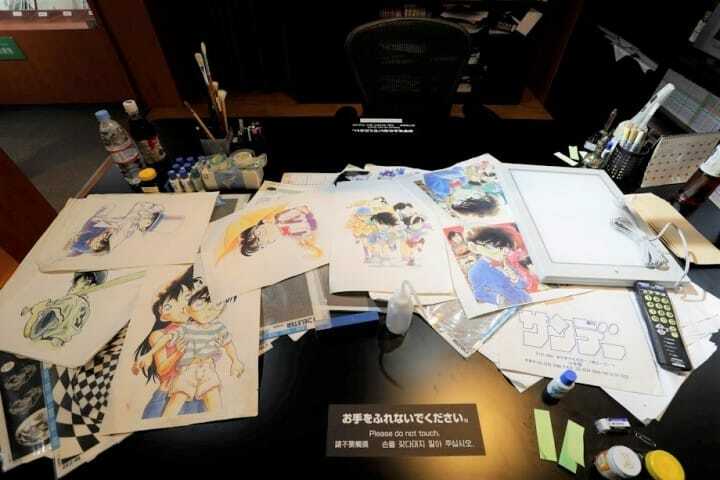 You will be able to see the process of how “Detective Conan” was created as well as original drafts from the series at Gosho Aoyama Manga Factory. It is rumored that Mr. Gosho Aoyama, believe it or not, works on three to four hours of sleep on a regular basis to serialize “Detective Conan”. In the factory, there is a corner that has recreated his work desk. Through this corner you can sense his passion towards his work. 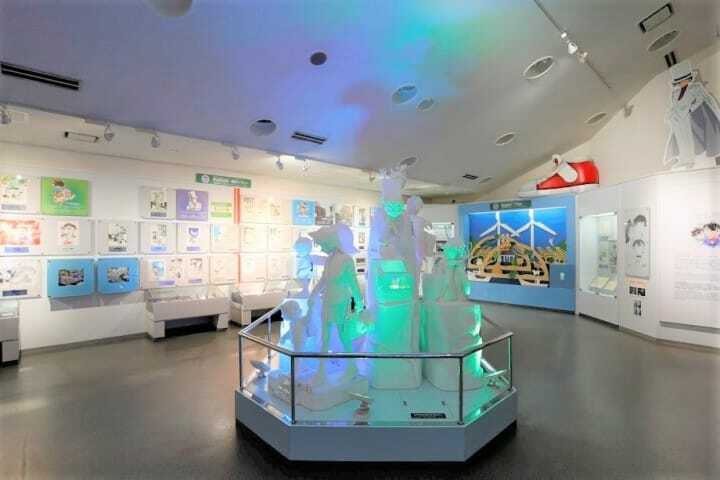 Gosho Aoyama Manga Factory’s greatest charm is the fact that you can experience the various inventions developed by Hiroshi Agasa, a character that appears in the series, for yourself. Here is the Turbo Engine Skateboard that Conan uses when pursuing criminals. Once you get on, you can enjoy the feeling of being a detective pursuing criminals. This is the Voice-Changing Bowtie that Conan uses to disguise himself as an adult when conducting his deductions. You can change your voice exactly like it does in the series. 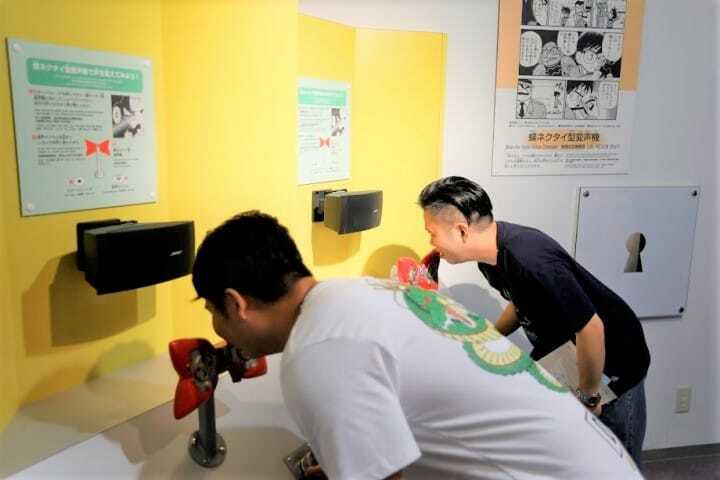 Additionally, there is also a corner where you can experience some of the tricks that have appeared in the manga too. 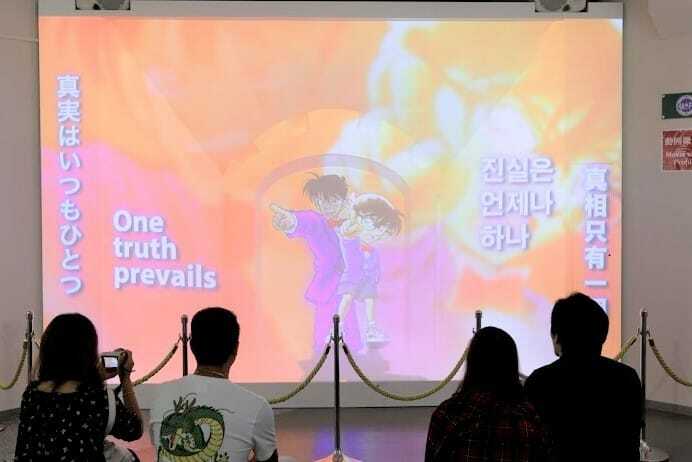 A projection mapping recreating the first chapter of the manga is shown at the end of the exhibit. Enjoy the story that triggered the start of the battle with the Black Organization through this large, impressive screen show. “Detective Conan” has been made into 21 animated films as of November 2017. You can also view a catalog of the posters of the movies that have been released until now at the factory. There also appears to be many overseas visitors that frequent the factory because of its limited-time exhibits. Complete With Souvenirs! 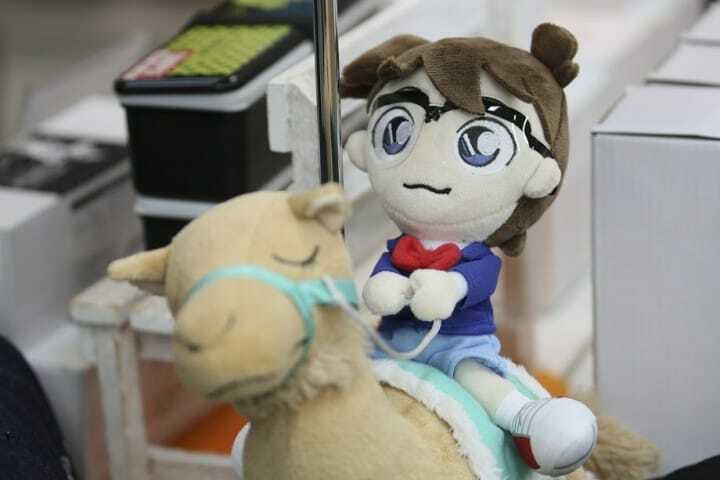 You Can Buy a Camel-Riding Conan Doll! A souvenir shop is also located next to the Gosho Aoyama Manga Factory. One particularly popular item here are the magnets that feature the “Detective Conan” characters. They’re perfect to give to your friends and family after your trip. There are also T-shirts printed with an image of Conan riding a camel in the Tottori Sand Dunes, a symbol of Tottori, as well as a camel-riding Conan doll. Conan looks so adorable! The souvenir shop also accepts credit cards, so visitors needn’t worry about having enough cash on hand while shopping. You will find Conan’s House Beika Shopping Street when you walk about ten minutes from the Gosho Aoyama Manga Factory in the direction of JR Yura Station. Here, you’ll find Porlo Coffee, a recreation of the café that appears in the series, Conan’s House Bakery, where you can enjoy fresh bread and coffee, CONAN GELATO, where you can taste gelato made using locally grown fruits, and the souvenir Conan Department Store. 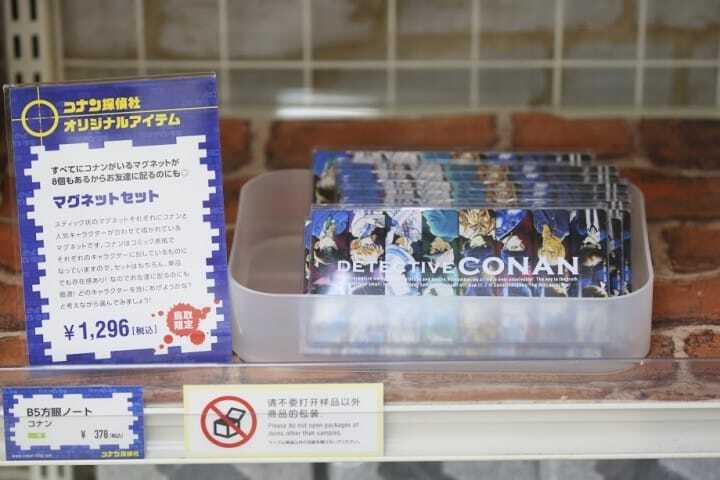 At the Conan Department Store, there are several original goods that aren’t available at the souvenir shop at the Gosho Aoyama Manga Factory. 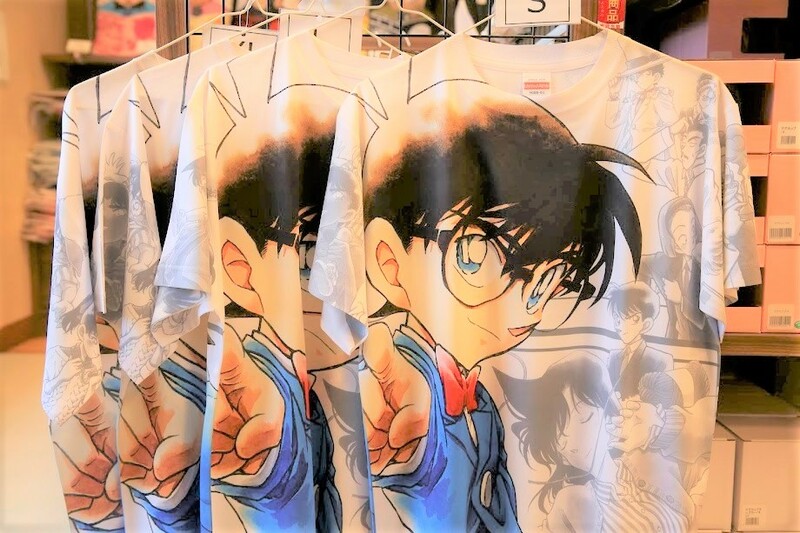 A T-shirt featuring a large print of Conan and other characters from the series is especially popular. There are also Conan Body Pillows and more available at the store. The Yura River flows near Conan’s House Beika Shopping Street. The cherry blossoms simultaneously go into full bloom on the riverbed in the spring, making the shopping street a wonderful place to view the flowers while having tea.